Coach Dave here with you. This article contains episodes 1, 3 and 4 of my TEAM CoachVille podcast and game! After you listen to the audio I would love for you to jump onto the game card and share your thoughts and inspirations. One of the main ways you can benefit from this audio series is that it will give you compelling new language to use when you are talking with potential players and advocates about the power of coaching. A great coach guides you to play better in your game of life. The game of life is a quest to break free of your Comfort Zone in pursuit of your BIG DREAM. A great coach helps you unleash your Super Powers. Demand for coaches is rising because people are reorienting – in LARGE NUMBERS – around their unique individual purpose. A great coach guides their players toward the JUICY life experiences they desire. Demand for life coaching is on the rise because people want more LIFE! Some people see life as a performance art… Some people see life as a sport. Performing artists and athletes become great by having a great coach. That is a BIG clue. A great coach guides the transformation from worker to player. Coaching is on the rise because MANY people who grew up in the Industrial Age desperately want to make this transformation! A great coach knows that people HATE to be managed, but they LOVE to be coached. 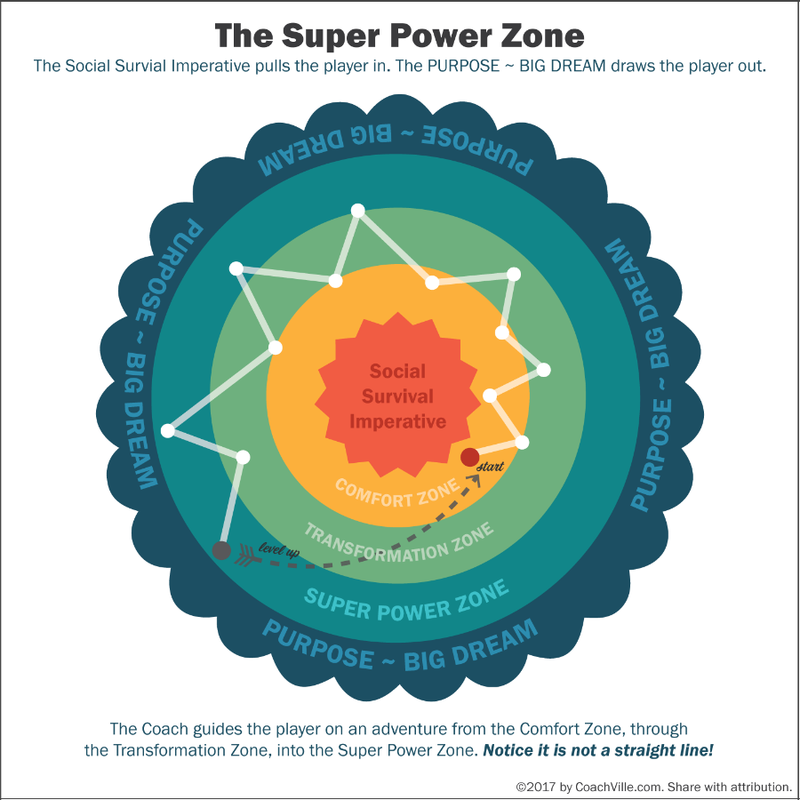 Isolation is the DREAM killer – Coaching is the DREAM fulfiller! As more people set out to pursue their own dreams, the demand for life coaching will continue to rise! Great coaches, together in pursuit of humanity playing better. I would LOVE to read your thoughts, insights and inspirations on the TEAM CoachVille gamecard. Jump into the game here. Your thoughts make a difference! And… you could win an awesome prize: a BIG GAME coaching session with me! Super Effective, Really Fun and ICF Accredited … the triple play of coach training! Is now your time to go ALL IN in pursuit of mastery? If “YES!”, then check out our school and set up your application conversation.